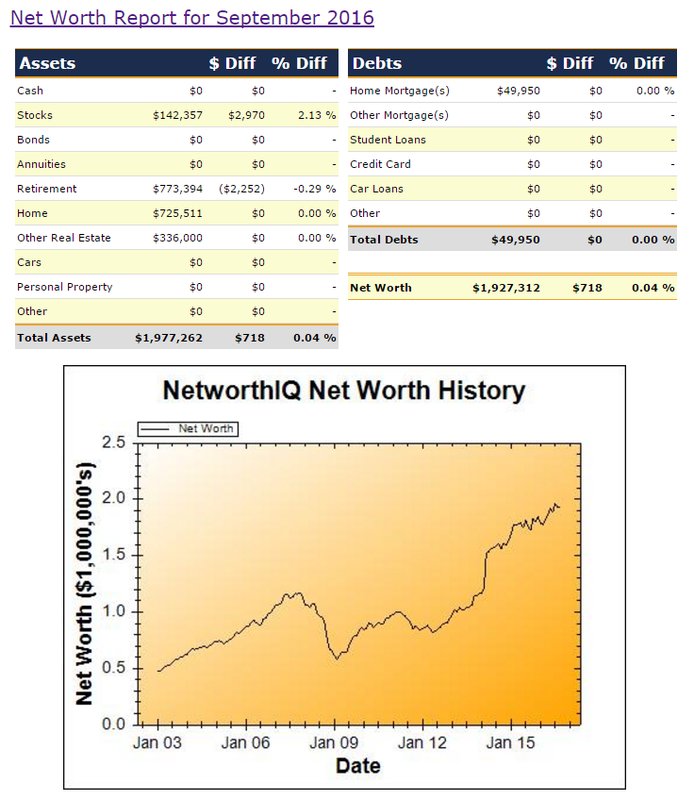 Very little change in my net worth during the past month. The estimated value of our home was unchanged, due to no change in the average sales price for houses in our suburb. Our mortgage also stayed the same, as it is 'interest only' and we haven't made any additional payments. A slight decrease in the value of my superannuation savings was offset by a slight rise in the value of my geared share portfolios. As usual I left the value of my 'hobby farm' unchanged, as it was a gift from my parents and will be left to my kids, so any change in its estimated current value isn't really relevant to my personal net worth position. If I was reporting our family net worth I would of course be including it, as well as the share portfolios and retirement savings accounts of my sons, and my wife's personal net worth. I've just transferred $5875 from our SMSF to pay this year's PAYG tax bill, so that will impact the value of our SMSF in next month's report.